Are you the one you want to check out? I have no reservations about recommending Dalaman Cars. Did my research and they came out cheapest - so thought they must be off airport with shuttles etc (which to an extent they were, but read on). Arrived at DLM Dalaman Airport about 22.30 and out of the arrivals, down the slope and the Dalaman Cars man was waiting there and the car was a further 20 meter walk. Filled in the paperwork, paid and were on our way. The car was clean and in excellent condition. Didn't pay the extra for tyres, windscreen etc - just don't go off roading! The return was simple. On the way back to the airport we stopped off at the OPET petrol station about 1 Kilometre from the Airport, where the Dalaman Cars office is situated, and we were given a driver who drove us and our luggage (in the car we had hired) right to the airport departures. No hassle and no problems just great value and service. Car hire Dalaman is easy with us, We meet you at any time individually. After collecting your luggage you will pass through Customs and once outside you go down the ramp that leads to the Car Park. Our staff will meet you here – they will have a placard bearing your name - and have your car waiting. 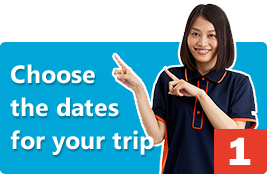 After the very short time it takes to complete the rental agreement and make payment , you will be shown your vehicle, given chance to ask any questions you may have and be off, literally within a few minutes of exiting the terminal. There are no lengthy cues or reams of paperwork! Dalamancars.com is a genuine car rental company based at Dalaman Airport, unlike other brokered services. We have a large fleet of brand new cars for rent in Dalaman, including car hire Dalaman Airport, also available in Fethiye, Kalkan, Kas, Marmaris, Dalyan, Datca, Gocek,Oludeniz, Uzumlu, Seydikemer, Sarigerme, Koycegiz and the Mugla area. We offer very competitive rates for car hire in Dalaman airport coupled with professional service – no waiting time or nasty surprises. We have a dedicated team of professionals waiting to make your Dalaman car hire as smooth as possible. We provide a free courtesy bus in order to avoid stress and queues at DLM Dalaman Airport. We always offer new cars and full insurance with no excess. Rest easy knowing we are not a broker, we will always keep our car hire prices low by dealing directly with our customers. We have rented a car two/three/ sometimes, four times a year, for 6 or 7 years, from Dalaman Cars, to travel to and around our villa in Kalkan. 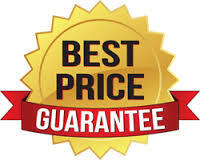 We always have excellent service, no quibbles, and very competitive prices. Often the cars are brand new, or almost new, and even when we bring them back a bit dirty. We would really like to thank the Dalaman Cars team for their friendly and reliable service, and would recommend their service, and their cars to anyone traveling to Dalaman. Merhaba. We have just returned a Dacia Sandero Stepway to you after a 2 week hire. The car was in good conditon and exactly what we needed: we had the car we reserved unlike most other companies; the pick up and leaving were quick and efficient. All good.